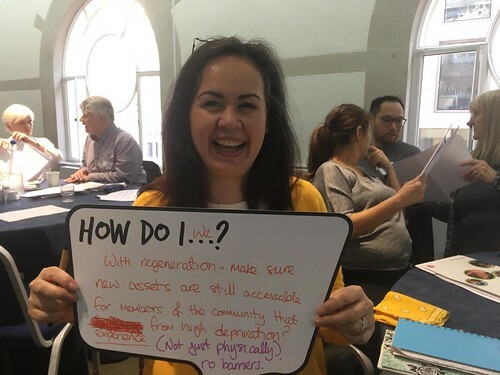 Here at Local Trust, we want to support Big Local areas which are looking to draw in additional resources, so as a first step, we asked our researchers - Resources for Change and Rocket Science – to look back at the findings from their research and to pull out some ‘top tips’. £1m feels like a lot of money to invest in your Big Local area, and it is. But through some recent research we have found out that nearly all Big Local areas are bringing in even more investment into their communities - some of this is money, but also a huge amount of time, as well as ‘in kind’ support. What sorts of other resources might you want to think about? But which are most useful? It turns out that often it’s not anything financial, it’s two key things: relationships and time. The value of relationships and networks was described in terms of how they enabled things to happen, and how they were helping areas look towards sustainability. Windmill Hill Big Local explained how their local authority’s Head of Community Services had used her influence to network at a senior level with the Clinical Commissioning Group and persuaded the Well North programme to make Windmill Hill one of its 10 pilot areas. Also, they note that her energy, skills and networks have speeded up many processes for the partnership. Where there are issues, she has contacted the relevant person, and action has been taken, whereas it might have taken the partnership a long time to sort these out. Time could come from a wide variety of different people and organisations, including partnership members, other residents, local businesses, local authority staff and additional unpaid hours by LTO staff. And what helps to bring in more additional resources? In the summary of our research ‘Big Local – More than just the £1m’, we showed the seven key characteristics demonstrated by Big Local areas which had attracted substantial additional resources. What sorts of things are these areas doing that has helped them to attract these resources? The Cars Big Local described themselves as ‘quite entrepeneurial,’ but also ‘protective of the money,’ so would prefer not to spend it if other sources can be found. They are willing to negotiate to get what they want. Also, the partnership don’t want people to take Big Local funded activities for granted, so feel that a small charge is appropriate. They feel strongly that they need to generate income. This has been incorporated into the heart of the way they work, with the marketing contractor setting a target for income from financial sponsorship on their website, and the LTO having a target to generate grant income of a value more than the worker’s annual wage. For Riverside Big Local, attracting additional resources is seen as integral. From the beginning, the partnership made a conscious decision to attract match funding. Every £1 of the Local Trust money that has been spent (£16,000 so far) has been match funded by money from another source eg fundraising, council or other funders. Has your partnership got a pro-active, entrepreneurial attitude? What can you do to develop helpful networks and relationships? Who could offer time to support your Big Local area? What skills and knowledge would they bring? What organisations and businesses in the area might find a benefit in working with your Big Local? Download the summary document here.